Are You And Your Company Ready for Blockchain? Is Your Company Ready for Blockchain? Okay, maybe you haven’t quite grasped the concept of blockchain on a technical level, and yes, blockchain is still early days as it relates to enterprise use cases. But before you accept or nix the idea that your company is ready for blockchain, let’s take a few minutes to consider the technology’s benefits—specifically in relation to your company’s business goals. If you’re like most people, blockchain still feels like an amorphous magical creature that everyone seems to be talking about, but no one has actually seen in real life. In fact, while SAP found that 92 percent of surveyed business leaders viewed blockchain as an opportunity, just 3 percent had actually put it into production. Still, many large companies are already embracing the technology, and it’s just a matter of time before even smaller businesses—in nearly every industry—are ready for blockchain, as well. In fact, I’d say blockchain is the future of digital transformation. It stands to take security, efficiency, and accuracy to a whole new level, in a multitude of tangible ways. But that doesn’t mean it’s necessary for your company just yet. To see if your company is ready for blockchain, consider the questions below. Question 1: Are there too Many Cooks in your Kitchen? In other words, is your company or industry working with intermediaries such as escrow companies, agents, lawyers, ad agencies, etc., that force costs up and inefficiencies down? Blockchain is designed to remove those intermediaries, allowing you to create smart contracts and other smart processes that will save you money and time. For instance, blockchain could completely eliminate the need for escrow companies to hold homebuyers’ earnest money and down payments during closing. By creating a smart contract, the buyer and seller would set “if then” terms that allow for the release of funds only when certain specified clauses have been met. Goodbye escrow fees. Hello, blockchain. Question 2: Do you Really Want to Create a Permanent History of your Work? For many of us, the thought of creating a permanent record of our employment history, education, and other wins (or losses) may be frightening. Indeed, not all of us are perfect all the time. Before implementing blockchain, take a quick gut check on whether your business would benefit from 100 percent transparency. In some fields—such as supply chain, retail, agriculture, etc.—blockchain can help ensure integrity and quality of certain products. Elsewhere, it might just highlight your inadequacies. Choose wisely. Question 3: Are you Ready for Blockchain to Manage your Data in Real Time? If you do, it might not be right for you. The technology simply isn’t able to offer “millisecond” performance for transactions—yet. In fact, transactions on blockchain currently take between 2 and 10 minutes to process. Yes, that’s slow for a technology poised to change the direction of almost every industry in the coming years. But I do believe it will get there. Question 4: Do your Employees and Vendors Trust one Another? One of the greatest benefits of blockchain is that it helps move transactions forward, even when the parties involved do not necessarily trust one another. That’s because the smart-contract element, noted above, requires that each transaction is agreed upon by each party in question. If you’re a company working with a range of questionable businesses, you might be ready for blockchain. Otherwise—it might not be necessary. Keep in mind: blockchain at this point still can’t replace the work of compliance or regulatory bodies. So, using blockchain will not remove those bodies—or the thorns attached to them—from your work life just yet. Question 5: Are you Looking for a Place to Securely Store Non-Transactional Data? Blockchain is built to protect transactions—not necessarily raw data. Thus, if you’re looking to blockchain as a storage solution or a replacement for your cloud, you’ll need to keep looking. It’s not that you aren’t ready for blockchain, it’s just that storage isn’t what blockchain is currently about. Yes, blockchain is going to be important to the future of digital transformation. And yes, I do believe there will be a time when all of us are using it in our work and personal lives for a multitude of reasons. But right now, it just isn’t necessary for every business worldwide to adopt it. 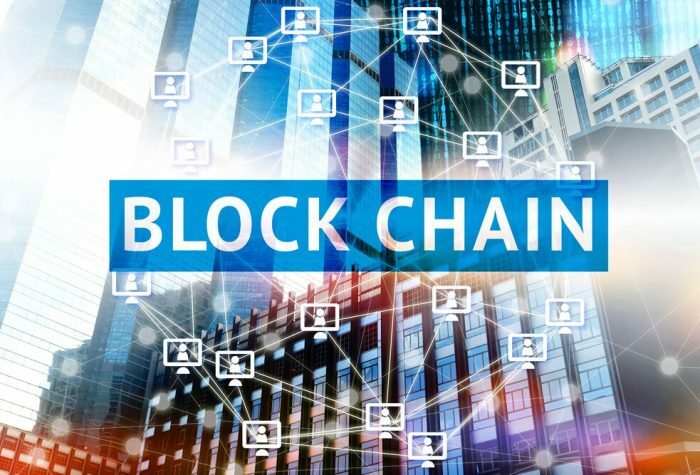 In fact, a question better than “Are you ready for blockchain?” may be “Would blockchain significantly enhance my business goals right now?” If the answer is no, there’s no hurry to hop on the blockchain train.